Henri Matisse the French artist and leader of the fauve group is regarded as one of the great formative figures in 20th-century art, a master of the use of color and form to convey emotional expression. 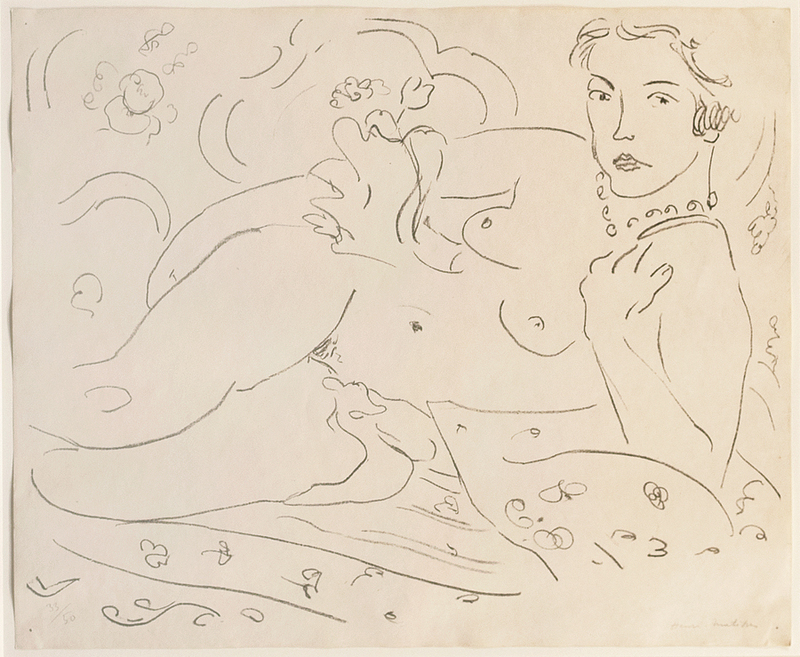 Matisse was born in Le Cateau in northern France on December 31, 1869. The son of a middle-class family, he studied and began to practice law. In 1890, however, while recovering slowly from an attack of appendicitis, he became intrigued by the practice of painting. In 1892, having given up his law career, he went to Paris to study art formally. 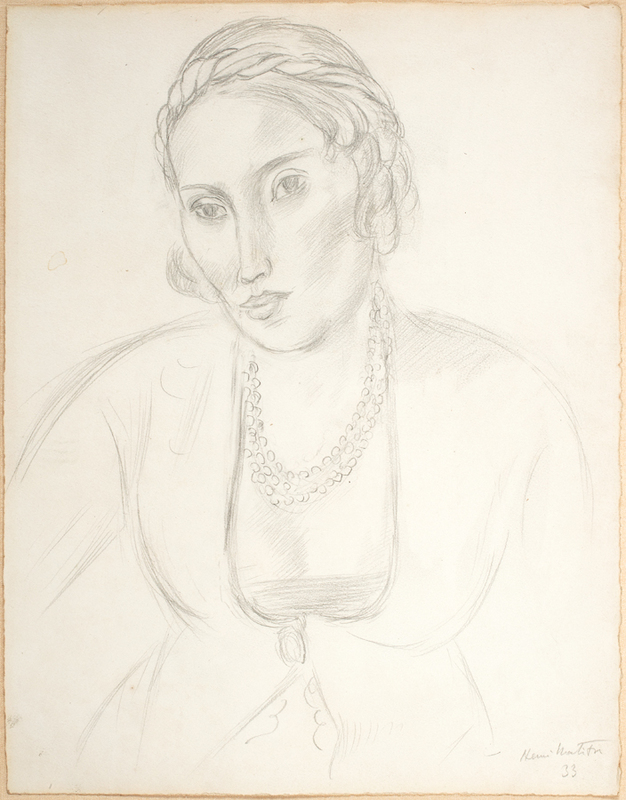 His first teachers were academically trained and relatively conservative; Matisse’s own early style was a conventional form of naturalism, and he made many copies after the old masters. 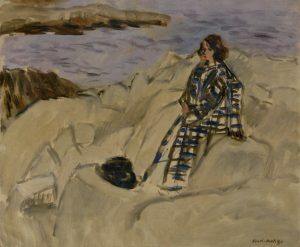 He also studied more contemporary art, especially that of the impressionists, and he began to experiment, earning a reputation as a rebellious member of his studio classes. 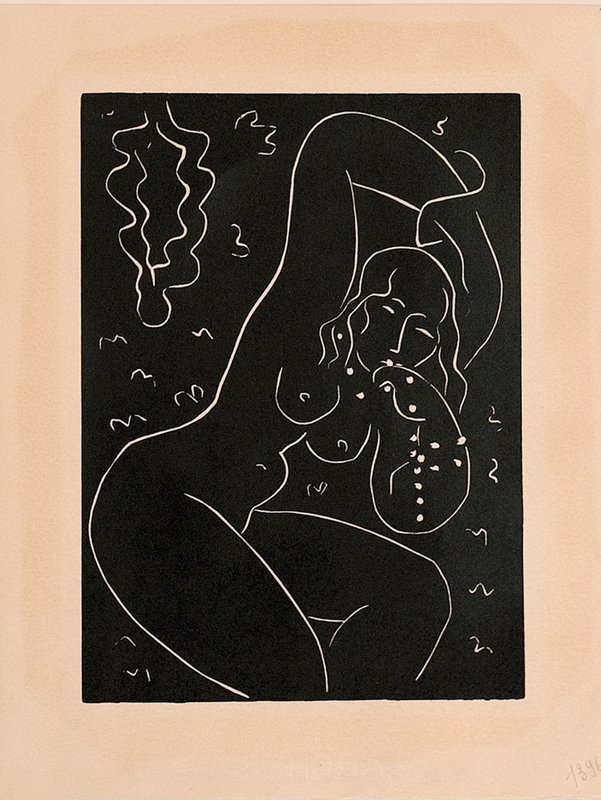 Matisse’s true artistic liberation, in terms of the use of color to render forms and organize spatial planes, came about first through the influence of the French painters Paul Gauguin and Paul Cezanne and the Dutch artist Vincent van Gogh, whose work he studied closely beginning about 1899. 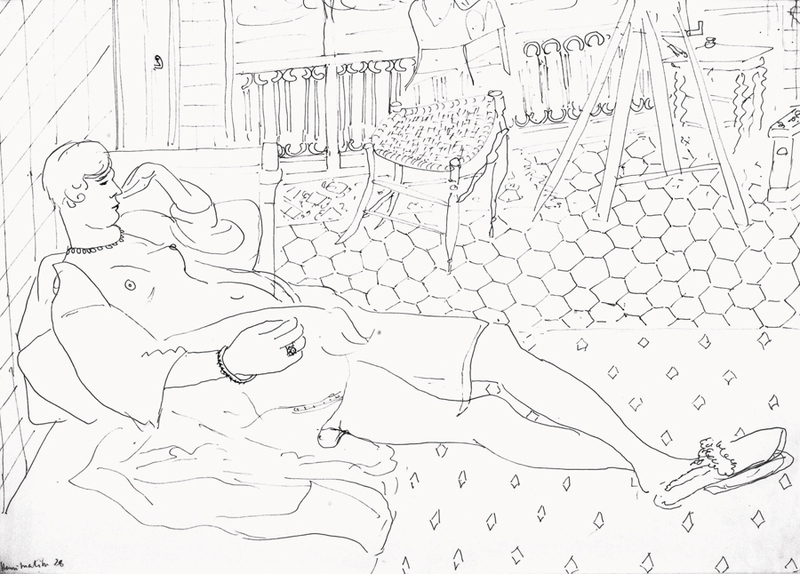 Then, in 1903 and 1904, Henri Matisse encountered the pointillist painting of Henri Edmond Cross and Paul Signac. Cross and Signac were experimenting with juxtaposing small strokes (often dots or “points”) of pure pigment to create the strongest visual vibration of intense color. 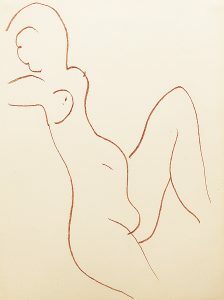 Matisse adopted their technique and modified it repeatedly, using broader strokes. By 1905 he had produced some of the boldest color images ever created, including a striking picture of his wife, Green Stripe(Madame Matisse) (1905, Statens Museum for Kunst, Copenhagen). 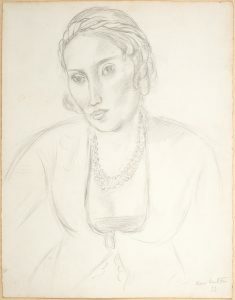 The title refers to a broad stroke of brilliant green that defines Madame Matisse’s brow and nose. In the same year Matisse exhibited this and similar paintings along with works by his artist companions, including Andre Derain and Maurice de Vlaminck. Together, the group was dubbed les fauves (literally, “the wild beasts”) because of the extremes of emotionalism in which they seemed to have indulged, their use of vivid colors, and their distortion of shapes. 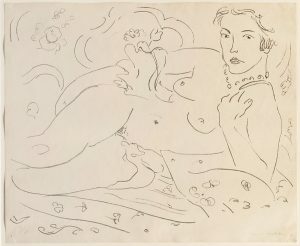 While he was regarded as a leader of radicalism in the arts, Henri Matisse was beginning to gain the approval of a number of influential critics and collectors, including the American expatriate writer Gertrude Stein and her family. Among the many important commissions he received was that of a Russian collector who requested mural panels illustrating dance and music (both completed in 1911; now in the Hermitage, Saint Petersburg). Such broadly conceived themes ideally suited Matisse; they allowed him freedom of invention and play of form and expression. His images of dancers and of human figures in general, convey expressive form first and the particular details of anatomy only secondarily. 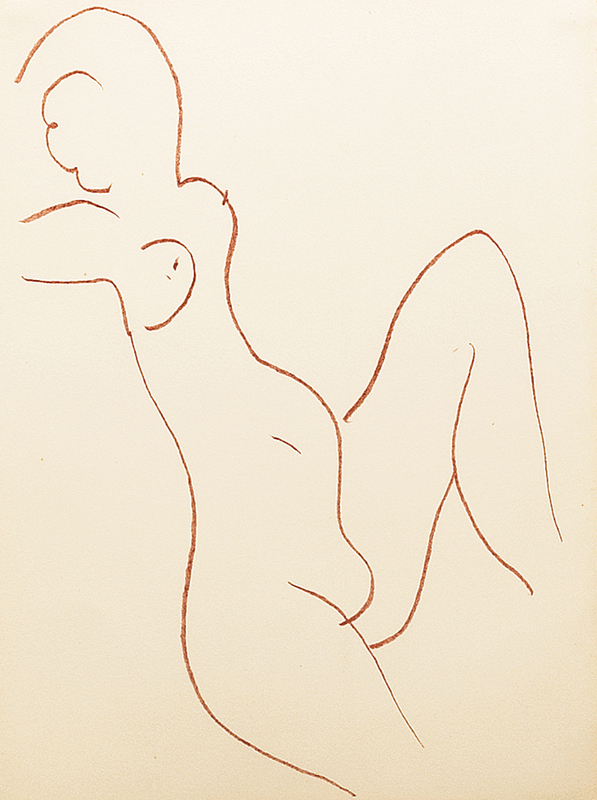 Matisse extended this principle into other fields; his bronze sculptures, like his drawings and works in several mediums, reveal the same expressive contours seen in his paintings. 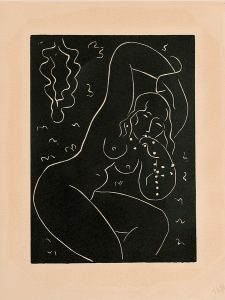 Although intellectually sophisticated, Matisse always emphasized the importance of instinct and intuition in the production of a work of art. He argued that an artist did not have complete control over color and form; instead, colors, shapes, and lines would come to dictate to the sensitive artist how they might be employed in relation to one another. 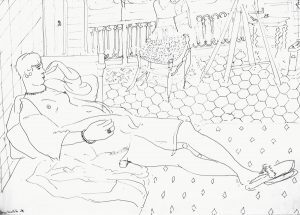 He often emphasized his joy in abandoning himself to the play of the forces of color and design, and he explained the rhythmic, but distorted, forms of many of his figures in terms of the working out of a total pictorial harmony. From the 1920s until his death, Henri Matisse spent much time in the south of France, particularly Nice, painting local scenes with a thin, fluid application of bright color. In his old age, he was commissioned to design the decoration of the small Chapel of Saint-Marie du Rosaire at Vence (near Cannes), which he completed between 1947 and 1951. Often bedridden during his last years, he occupied himself with decoupage, creating works of brilliantly colored paper cutouts arranged casually, but with an unfailing eye for design, on a canvas surface. 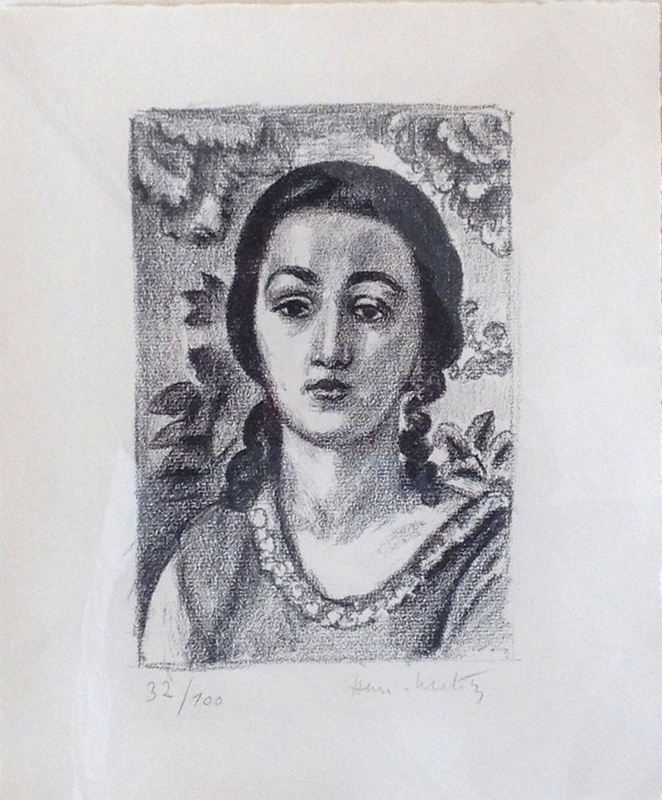 Henri Matisse died in Nice on November 3, 1954. Unlike many artists, he was internationally popular during his lifetime, enjoying the favor of collectors, art critics, and the younger generation of artists.